Gator Millworks is pleased to announce Kort McDonough will join the team as the Business Process Manager. McDonough is a Kansas native and graduates from Pittsburg State University in May with a B.S. in Architecture Manufacturing Management and Technology with an emphasis in wood product manufacturing. He interned for Gator Millworks this past summer after meeting the team during a company event at PSU. “I chose to come to Gator because it felt like home. There’s so much opportunity at Gator and I feel like I can really have an impact on the company,” says McDonough. In this role, McDonough will work with the leadership team to develop and refine the manufacturing process with the ultimate goal of bettering the company. Over his final spring semester he will work on the machinery layout for Gator’s new 76,000 sq. ft. facility and continue to learn more about the company. McDonough said, “I’m really looking forward to moving down to Baton Rouge and being a part of the culture of Southern Louisiana. 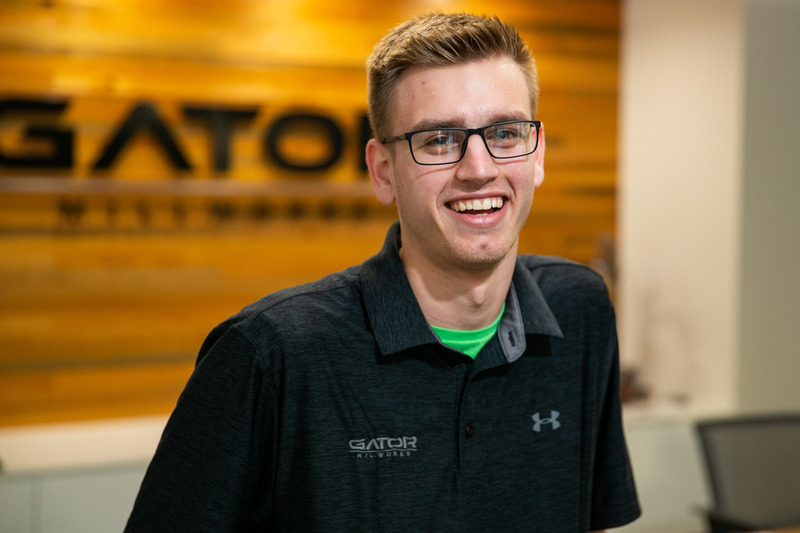 During my internship this summer, I really enjoyed the people, the activities and the environment.” Upon graduating in early May, he plans to start at Gator immediately.